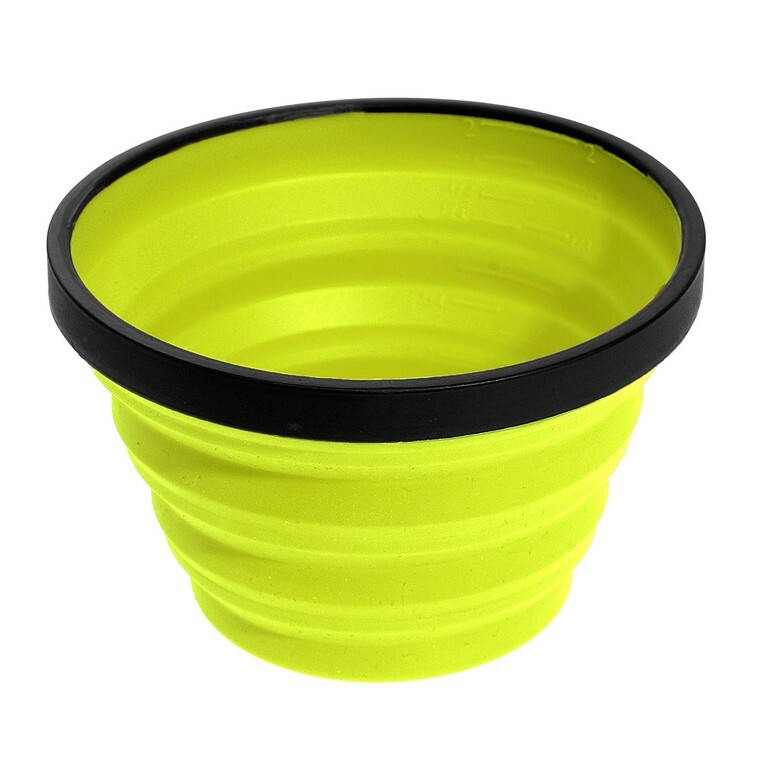 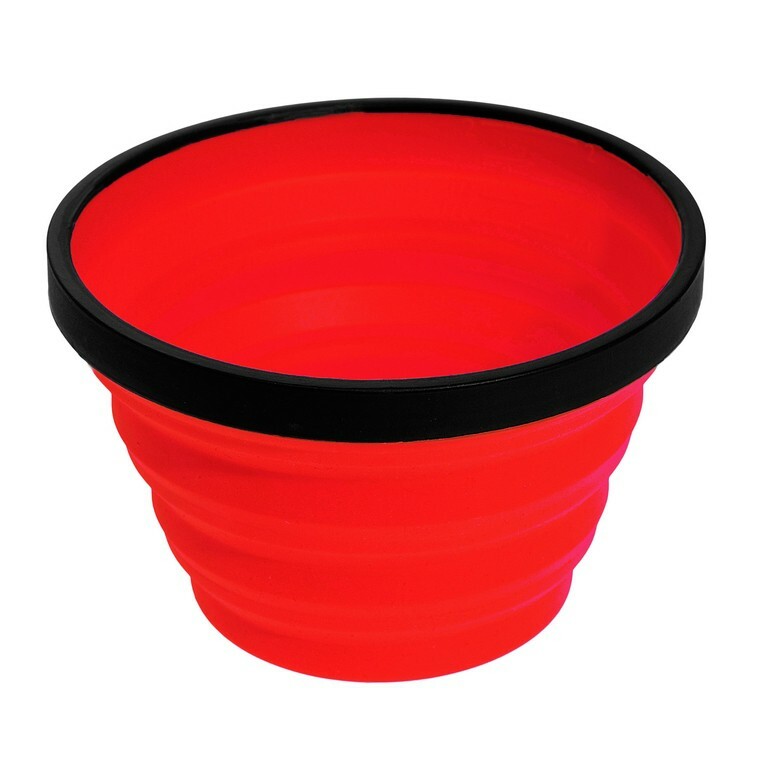 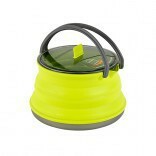 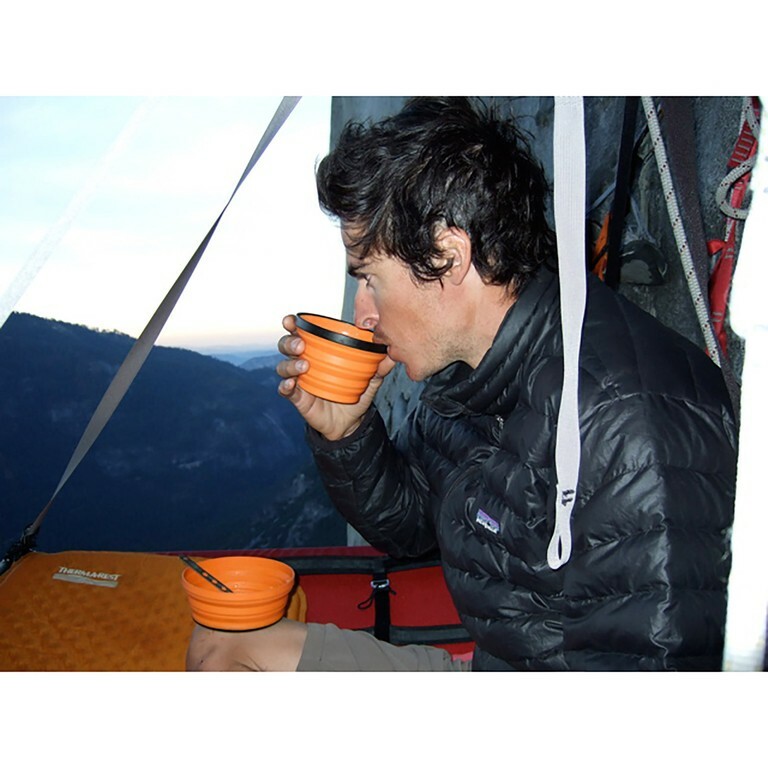 XMug Sea to Summit is a collapsible cup. 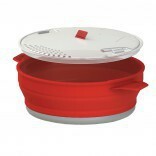 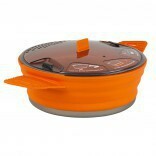 It is made of flexible silicone food. 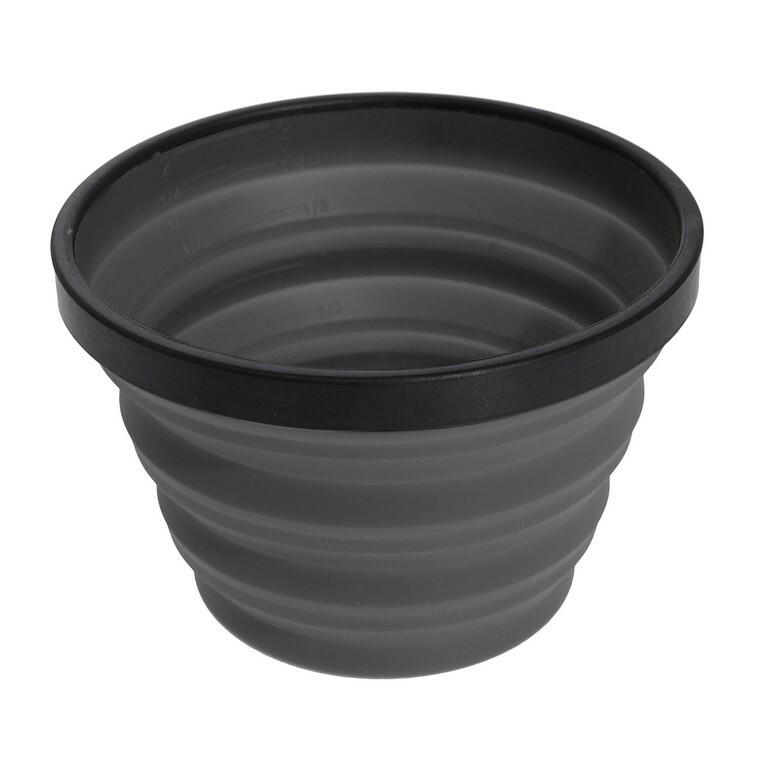 When folded, this mug is very compact: 15 mm thick. 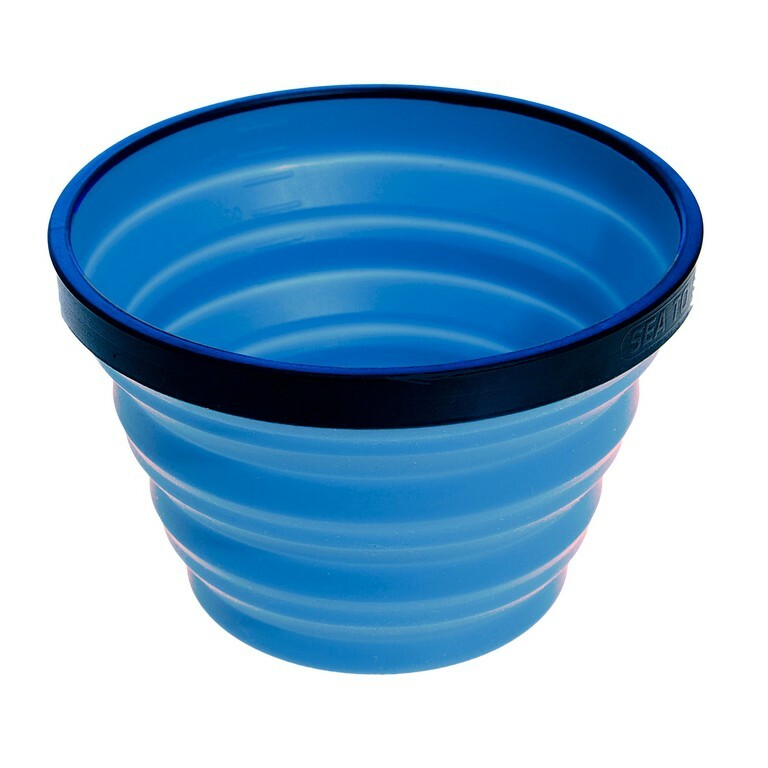 The upper edge consists of a rigid ring to maintain the shape. 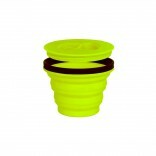 Folds flat for compact packing ligjtweight.